In 1959 I was in the Upper Sixth at Barton Grammar School and much of our life was spent in Baysgarth House which was an annexe to the school. Henry Treece the well-known author was our English teacher and was a fountain of knowledge on many things beyond grammar and literature. For years he had told us that he suspected that there was a Priest Hole in Baysgarth House. Others suggested that these were only found in old houses inhabited by Catholic families. We all believed that there might well be a priest hole and decided to investigate. We targeted the wall, which is on the end of the house which faces Brigg Road. The wall was either of enormous thickness or their was a cavity between it and the back of our classroom (which may have been room 14 ?) Mr. Brice taught French in there. 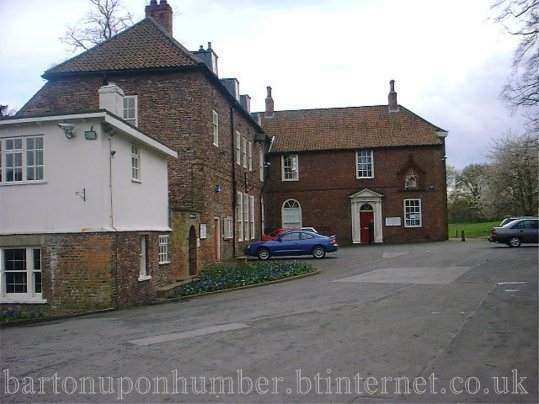 One night Jimmy Hill, Phil Jackson, Howard Kitchinson, John Patchett, Derek Allen and I approached the building. Derek tried climbing up the drainpipe but this alerted the cleaner. He then knocked the door on the pretext of picking up a book. The cleaner kindly let him in but he hid until she left. Then he let the rest of us in. We made our way up the back stairs to the attic, which we knew fairly well anyway from earlier and equally unofficial expeditions. Eventually with the aid of torches and bicycle lamps we found what we were looking for. Using one of our mother's clothes lines we lowered ourselves into the "priest hole" and recorded the event with camera and flashbulbs before departing. We did not tell any teachers, except of course Mr. Treece with whom we had a special relationship. The present staff of the museum deny all knowledge of the secret hiding place but I did not make this story up although increasing girth may prevent me from giving guided tours. Brian is a councillor for North Warwickshire Borough having retired from teaching. He spends his winter holidays skiing and in the summer cycles through the bush in Central Africa.